How can solar cell efficiency be improved? Invest on a quality solar panel. Make sure the panels get enough sun exposure. Orient the solar arrays in the direction and angle that it can receive sunlight better. Common solar cell efficiency may vary from around 10% to 20%. More and more people are installing solar panel system in order to minimize their electricity bills. A common concern is whether the price of a solar panel in the Philippines affects its efficiency. So, how do you make sure that your affordable solar panels are working efficiently, and are producing maximum output to meet your needs? Here’s a few hacks to help you achieve that. Make sure you’re investing on a quality solar panel. Similar to buying the best meat for your family dinner, purchasing a panel for your solar PV system needs a bit of canvassing. A lot of research and thought needs to be put into it before deciding first, whether a solar panel system is right for you, and second, which is the best one. You can start by asking those in your network who already have solar panels installed. You can also browse the internet to find a ton of information on which particular panels are high-quality yet affordable. Most solar panels today are made of silicon. This information can help you narrow down your options, and get directly to the types of silicon solar panels. There’s crystalline, monocrystalline, and polycrystalline – they differ on how silicon is used, its purity, and of course, the price. For some, monocrystalline solar panels are better than polycrystalline as it is more heat tolerant and has a higher efficiency level especially in the tropics. Sun exposure plays a huge role to your solar panel’s efficiency and output. Because efficiency refers to the total percentage of the sun’s energy that solar cells accumulates to convert into electricity, it obviously relies on direct sunlight. Output, on the other hand, is the electricity that the solar array generates from the sunlight. The lesser the sun exposure, the lower the efficiency level. This is particularly important in solar cells that are connected in a series. This is because when a single cell is shaded, it can decrease the output of its neighboring cells in the series. In order to prevent such situation, make sure you install your solar PV system in a spot where absolutely nothing will block the sun rays. When installing solar PV systems, it’s important to take the direction and angles of the panels into account as this can affect the efficiency of the arrays. If you get to orient the panels in the right direction and angle, there’s no more need to worry anymore about the sunlight that it receives in a day. Additionally, the position and location of your home matters to the alignment of your solar system. Expert solar installers will know how to mount your solar arrays, hence, make sure to purchase your solar panels from a quality company that offers the instalment of the unit. Increasing efficiency ensures that you get the maximum output from your solar PV system. 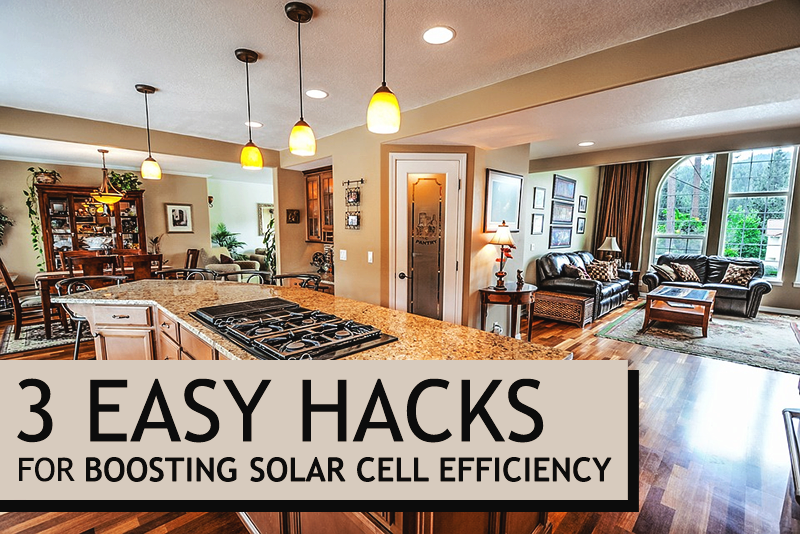 Through these simple ways, not only can you make sure that your solar arrays are efficient enough to produce more than enough energy for your household needs, but that they can also be relied on for a longer time.